- Kenneth Ma will play a taxi driver who is able to see ghosts. He drives 'other realm' beings. - Mandy Wong will play an accident and emergency department (A&E) doctor. She has a crush on Kenneth. - Hugo Wong later becomes possessed by a demon. - Hubert Wu will play a fairy. - Moon Lau will play a 21-year-old woman who aspires to be an anchor. She is the host of a supernatural programme. She and Hubert are a couple. - Iris Lam will play a university student. She and Hugo Wong are a couple. - Helen Ma will play the boss of a taxi company who has stocks and is also a driver. Edited by Moritaka, 31 August 2016 - 08:44 AM. Main leads, Kenneth Ma and Mandy Wong collaborating again after The Hippocratic Crush series. This time, as a pair who is romantically linked. Hugo Wong and newbie actress, Iris Lam will be playing a pair. Moon Lau and Hubert Wu will be playing a pair, after collaborating in Blue Veins, this will be their 2nd time acting together. Artistes Kenneth Ma and Mandy Wong were at a To Kwa Wan dessert shop doing location filming for TVB's supernatural series, "Demon-Conquering Taxi". Kenneth, who has been working almost 20 hours every day, was extremely happy seeing the desserts. Was already eating before getting into position. After completing filming, even laughingly said before leaving, "Don't waste it. Finish eating it!" Extremely funny! This series belongs to the supernatural genre. Fortunately, up to now, the two have not encountered supernatural incidents, but panic-stricken every day when working. Kenneth expressed that the series genre is sensitive, so already took safety precautions on the first day of work, having a blessing ceremony together. He, who plays a night shift taxi driver in the series, has many late-night outside filming, even got the chills when filming a terrifying doll scene in the remote mountains earlier. He said, "Was filming the doll knowing how to move itself. Was really scared! Also felt scared watching the playback!" Mandy, who is filming a supernatural series for the first time, revealed that, initially, when looking at the script at home, was already afraid to the point of not being able to sleep, and even constantly sweating, and even more so when filming a scene of going into a ghostdom earlier! She said, "Other actors had special effects makeup. Had the feeling of going into a haunted house to play. Although I also like to play, but could not sleep after filming!" Kenneth, who plays a taxi driver, also mentioned falling in love with Mandy, who plays a doctor in the series, but their romance did not blossom because of the disparity in status. Would he mind in real life? He said, "Perhaps girls would mind more. Would want the guy to be able to take care of her. Not vanity. Equal to guys also wanting a girl with a pretty face and a nice figure!" He expressed that he has not encountered this type of girl in real life. Regarding him becoming a homeowner and 'Super Hot Property', he laughingly said, "I am not. Really trivial. Many people's qualifications are better than mine!" He also said that his new home is in the process of renovating, saying that his mom and elder sister are responsible for big and small matters, while he is responsible for living in it and paying for it. 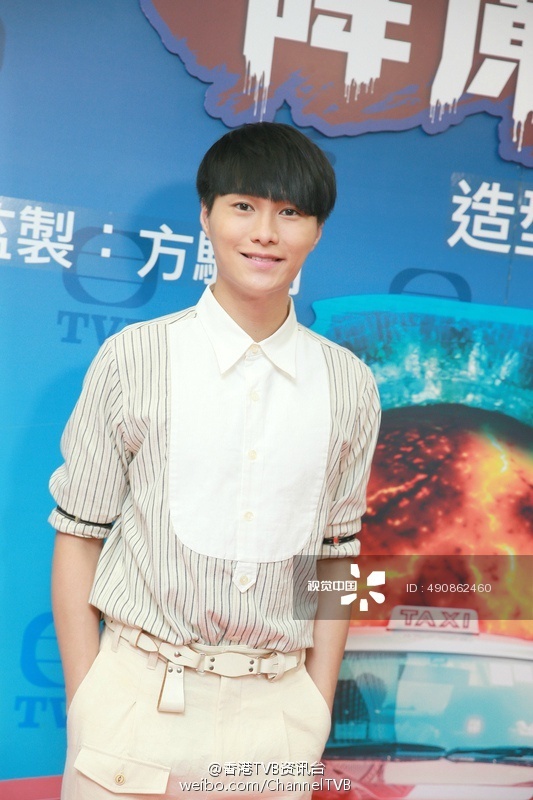 In addition, Moon Lau, who is also taking part in the series, attended an event. She, who has not encountered supernatural incidents while filming series, said, "Also labourious to film this series because there are many night scenes, and also very busy, but really do not want to be a night owl, and more so do not want to encounter these things!" The official name is called "The Exorcist's Meter."